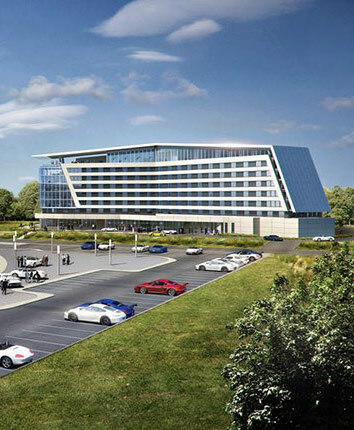 Guests for the 2019 Drive & Dine can take advantage of a preferred rate at the Kimpton Overland Hotel which adjoins the Porsche Experience Center. For reservations, click here: Christian City Room Block or call 1-800-KIMTPON, and refer to the Christian City Drive & Dine block. If you need further assistance, contact Steve Gigantiello at 470-466-3300. Deadline for the preferred rate is April 15, 2019. Kimpton Overland pampers discerning travelers with a sophisticated design and high service standards. The hotel offers 214 guest rooms and signature suites; refined yet approachable restaurants and bars featuring fresh, seasonal cooking; and 6,500 square feet of event space including a 3,600 square foot ballroom, a Rooftop Lounge with panoramic views of the Porsche handling course and the runway at Atlanta Hartsfield Jackson Airport.